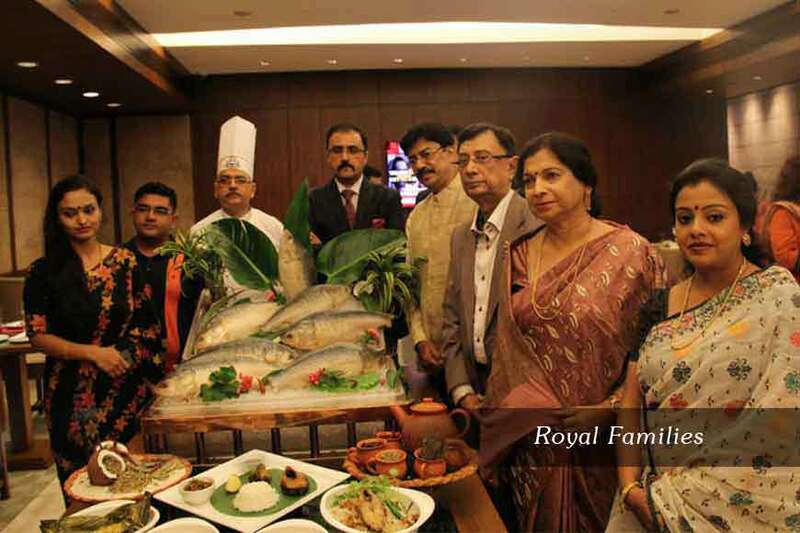 When Bengal’s all-time favourite Hilsa or Ilish Maach is served in royal style befitting a queen with members of some well-known royal families giving you company, then the fish tastes even better and the dishes turn to signature ones. 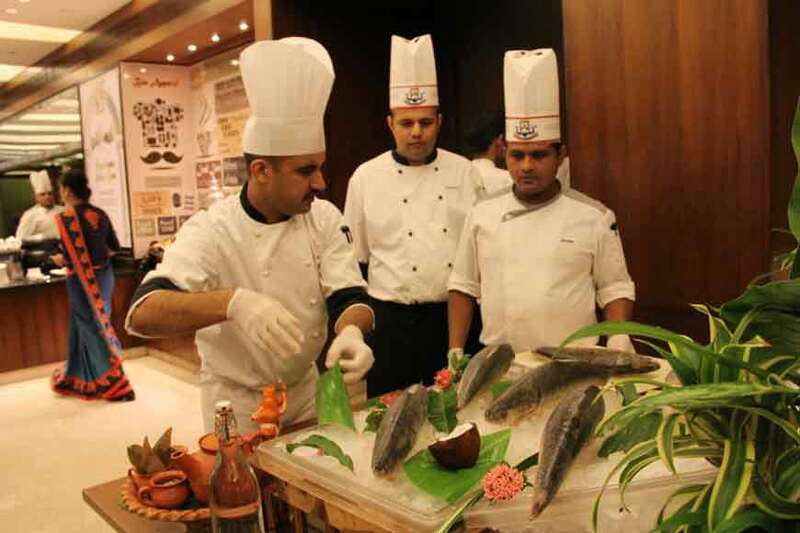 Along with that, throw in a dash of ITC hospitality and the expertise of a group of chefs ensuring the best quality Hilsa is served on your plate, maintaining the authenticity of the Royal Recipes. 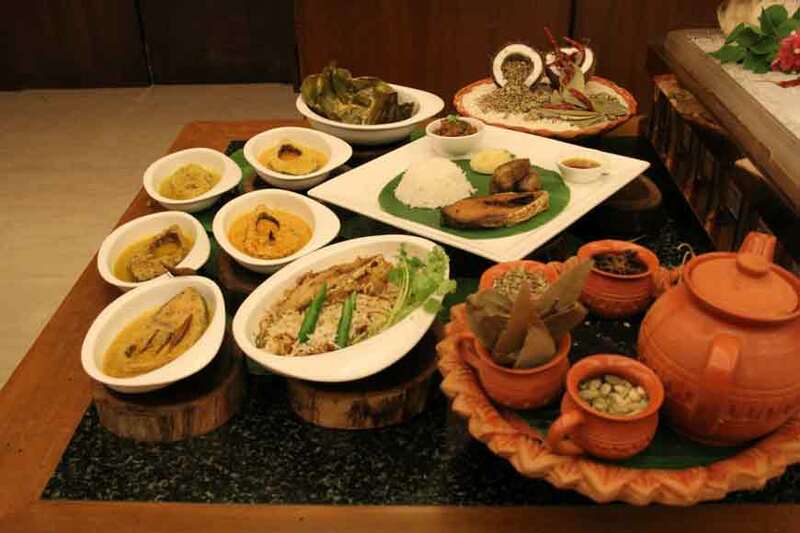 ITC Sonar, Kolkata is celebrating secret recipes of Bengal’s Rajbaris all through this month. If you have ever taken the Bonedi Barir Durga Puja trail, your first stop would have been the sprawling Shovabazar Rajbari. 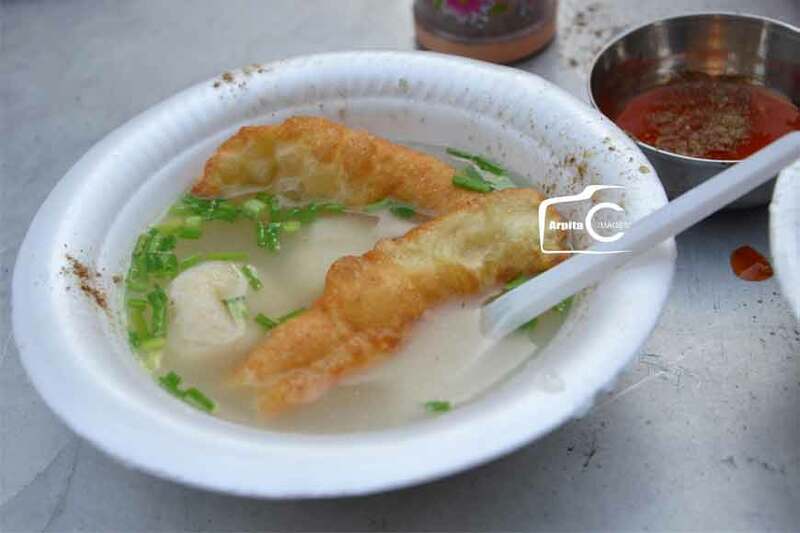 But not just the famous puja, the kitchens of Sovabazar, set up by Raja Nabakrishna Deb in 1700, has always been famous for feasts ad festivities, often entertaining British governors along with personalities like Ishwar Chandra Vidyasagar and Raja Rammohan Roy. As Salina Deb, member of the Sovabazar Rajbari shared an interesting fact about how their Rajbari came up with the Smoked Hilsa recipe. “Sovabazar Rajbari often entertained Britishers like Lord Clive and Lord Wellesley. To give them a taste of Bengal’s Hilsa, the cooks invented the Smoked Hilsa recipe, made in such a way that the bones of the fish did not come in the way. 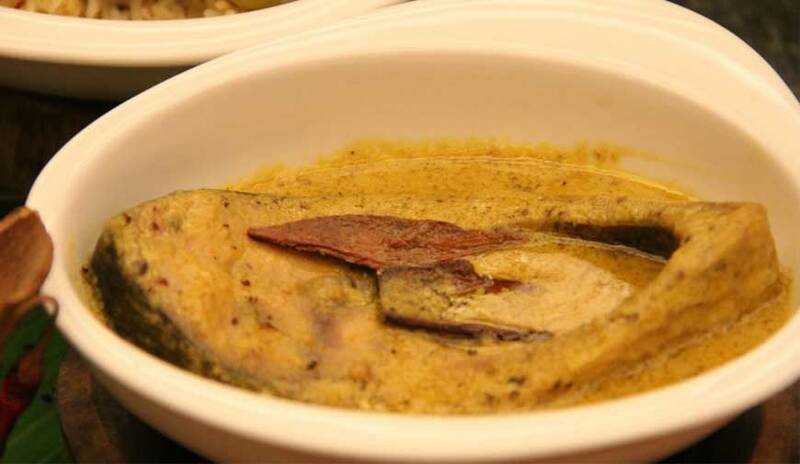 This dish could even be had with a fork!” ITC chefs prepared a 260-year-old Hilsa recipe of Sovabazar Rajbari, known as Sugandhi Ilish Bhapa, cooked in silky yoghurt and mustard gravy with a dash of special spices, including clove and cinnamon. The usual Bengali household has always related Ilish recipes to mustard and chillies. 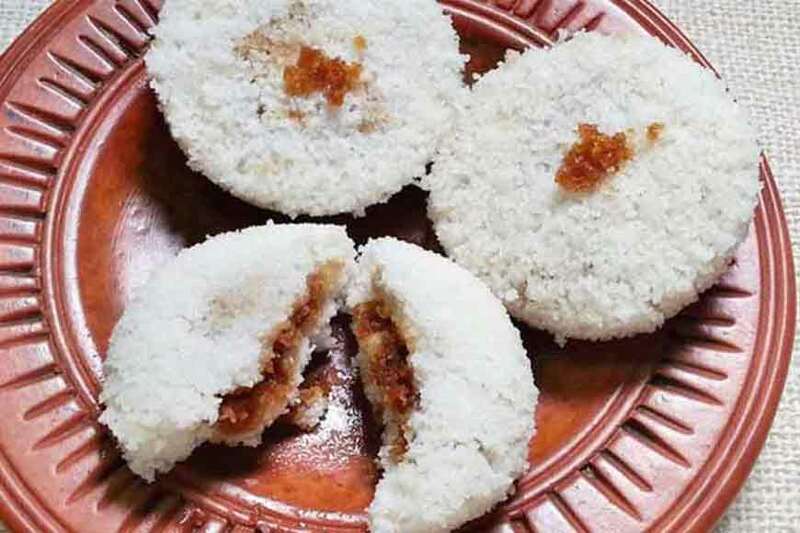 However, Rajbari recipes always are an exception. And that’s what Posta’s royal family ensured, by introducing a very rare spice, Zaffran or Saffron to Hilsa. 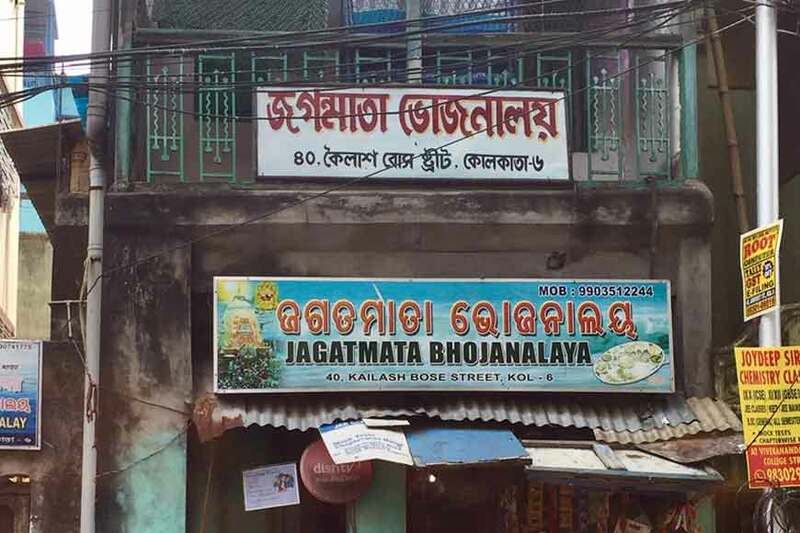 Rajashree and Riddhiman Roy of Posta recalled the times of Rani Kasturi Manjari Das, who was a famous socialite of that era and a friend of Gyanadanandini Tagore. She went on a Europe tour in 1915 and that’s when she realised the use of soft spices. 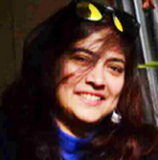 However, to make an impression on her son Kumar Bishnu Prasad Roy, she returned home and used the extremely expensive ingredient, saffron, in a Hilsa recipe. 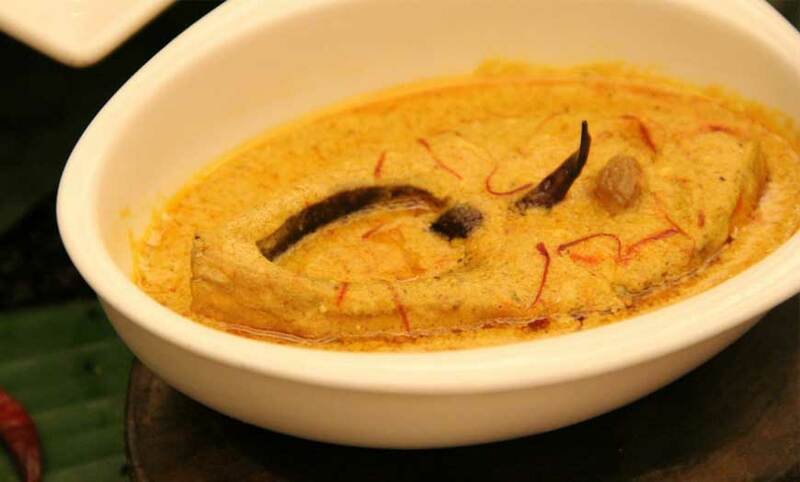 True to what she prepared, ITC came up with Zafrani Ilish with Hilsa darne cooked in a gravy of cashewnuts, finished with saffron milk, seasoned and garnished with raisins. Have you ever heard of Ilish cooked with onion? Well, do not twist your nose. 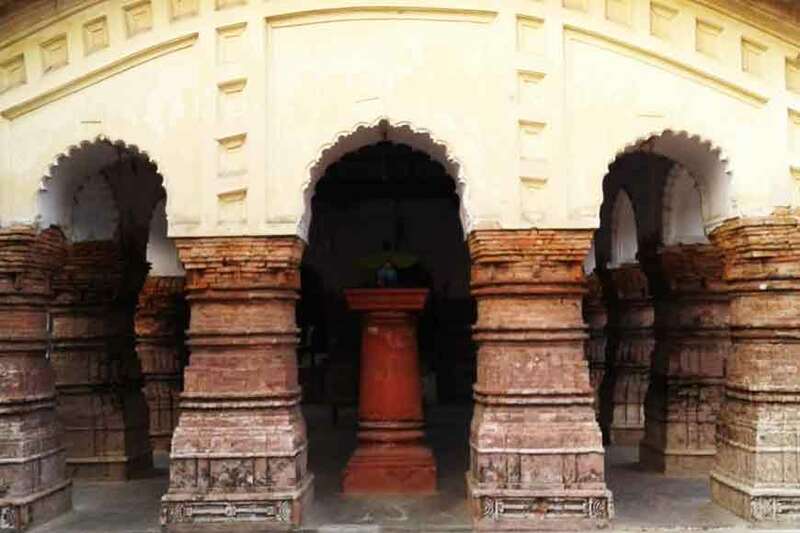 A trip out of Kolkata to Bengal’s East Midnapur district will bring you to the picturesque fort of Moynagarh and the 1000-year-old history of the erstwhile Bahubalindra dynasty, that has also been mentioned in Dharma Mangal. Siddhartha Bahubalindra, the 19th generation of the royal family explained: “Our dynasty was recognised by Mughal emperor Jahangir and our chefs were influenced by Mughlai dishes. 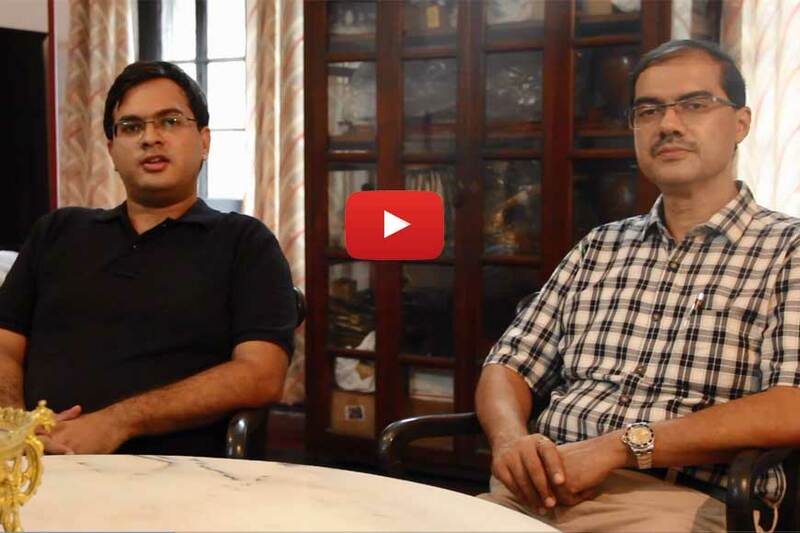 That’s how they came up with the innovative Ilish Machher Dum Pulao, which is a meal by itself. 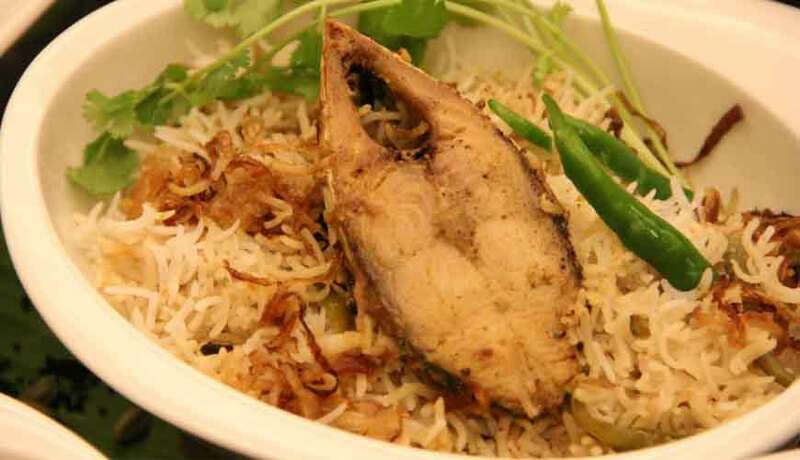 It is scented Basmati rice cooked with onion, whole spices and Hilsa darne served with raita. 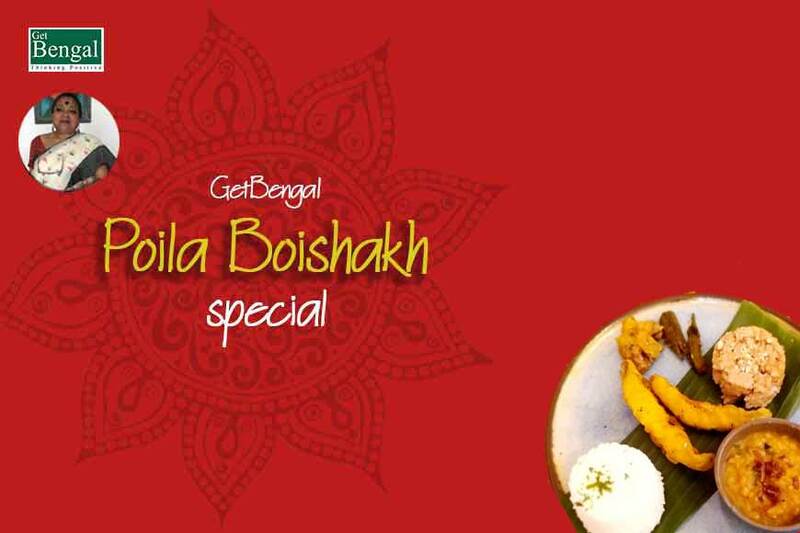 But for all those who would love Ilish sweet styled, can try out Madhu Malai Ilish of Cossimbazar Rajbari. It is Hilsa darne cooked in a coconut and yoghurt gravy, sweetened with honey and finished with a dash of lemon juice. 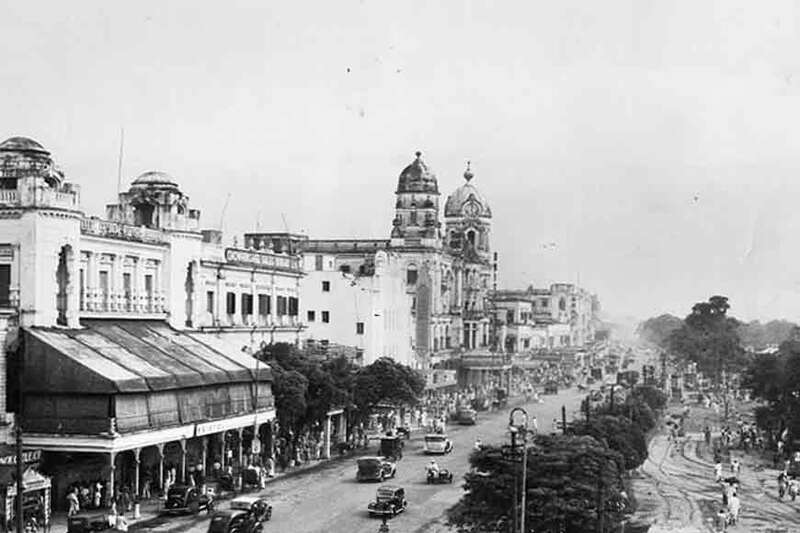 “When Murshidabad was the capital of the Nawabs of Bengal, Cossimbazar was a flourishing port on the Ganga. The Roy family made their home in this area and were awarded the title Raja in recognition of charities and their benevolent services,” added Pallab Roy, whose great grandfather established this Rajbari in 1898. 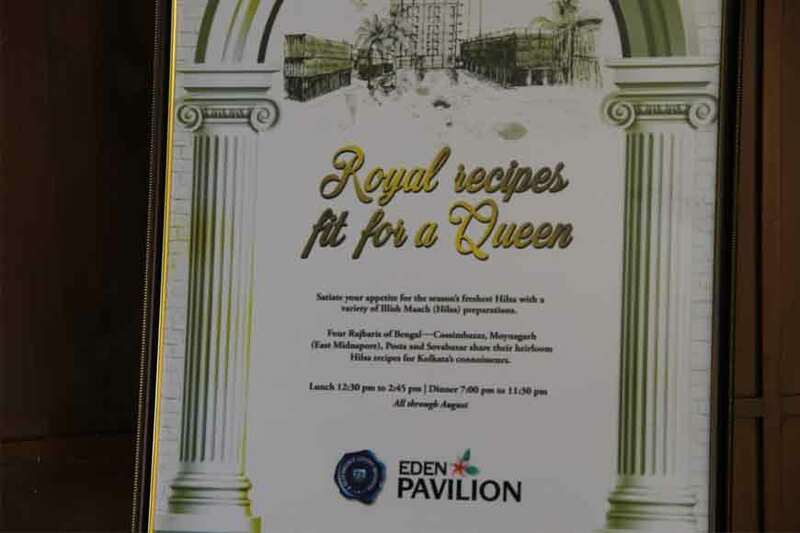 The Royal Hilsa Menu is still available at ITC Sonar’s Eden Pavilion. So, do not miss, drop in any day in August, if you wish to be a part of a royal treat!